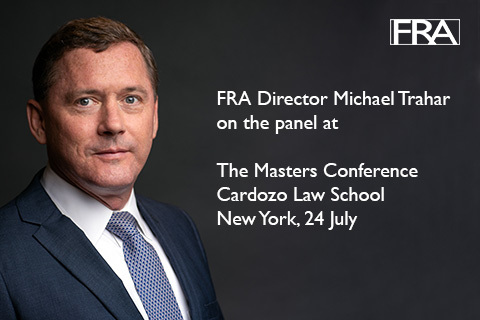 FRA’s Mike Trahar is speaking at The Masters Conference at the Cardozo Law School in New York today on the panel; Investigate This! eDiscovery Is Not Just for Litigation Anymore. Mike will be joined by David Shilling, Sidley, Phil Cohen, Greenberg Traurig, David Rogers, PWC and Diane Kilcoyne, ESI Group. The reasonable anticipation or filing of a litigation case is only one event that can trigger a need for eDiscovery. These days, eDiscovery also plays an important part in conducting investigations to meet compliance, due diligence or regulatory enforcement requirements. The panellists will share experiences and provide examples of the use of eDiscovery technology and best practices to meet investigative objectives. Topics will include common types of investigations involving eDiscovery; similarities and differences from eDiscovery in litigations; data discovery, data privacy and cross-border implications; common mistakes to avoid; dealing with phones/BYOD issues during investigations and best practices for managing eDiscovery in investigations. The Masters Conference brings together leading experts and professionals from law firms, corporations, and the bench to develop strategies, practices, and resources for managing the information lifecycle.